More USB 2.0 headers on the rear I/O would be welcome, as there isn’t any need for the VGA connector. These are all the accessories that come with the board that you won't be throwing out. 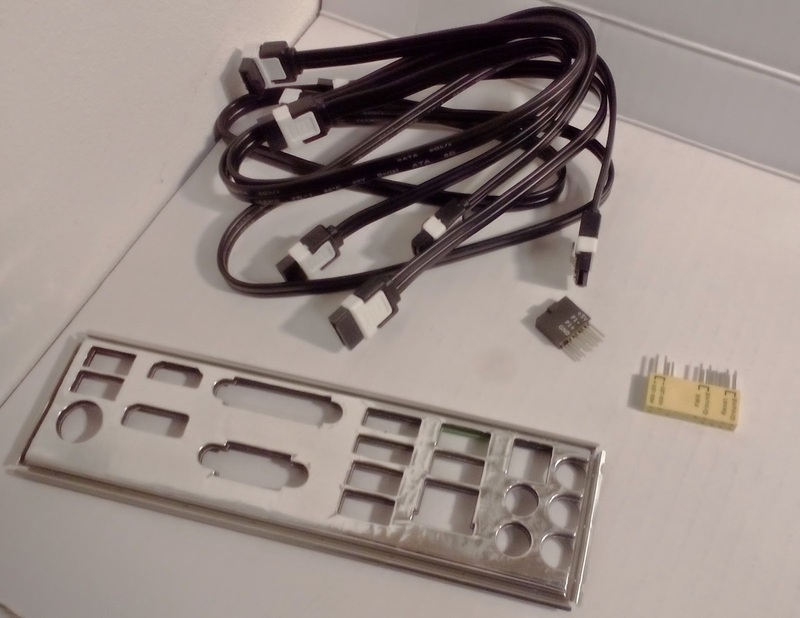 I'm a little disappointed that there are only 4 SATA cables instead of 6. 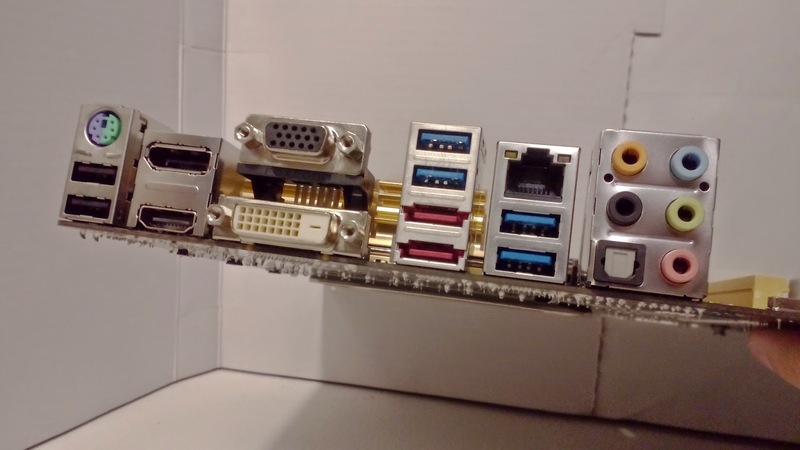 This means the board does not come with enough SATA cables to feed all the SATA ports on the board itself. 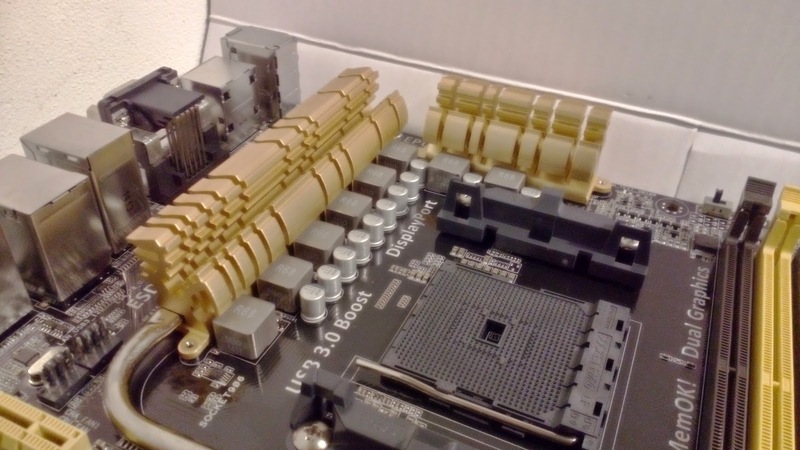 Considering the price of this motherboard, this is quite disappointing. To receive a 10/10, this board should have included an 8 phase design on the VRM with a higher switching frequency. This doesn't really matter in this board’s case as it performs adequately, but regardless there’s room for improvement. Great NB clock control, an awesome clockgen for the BCLK and all the right voltages with all the right limits (VCC could have been a little higher but LLC fixes that). I was glad to see that this board includes fully featured core control. This board so far has the best BIOS I have used. Unfortunately, it does not have a backup chip and corrupts much more easily than most other BIOSes I've used.Thankfully, a BIOS update fixed this issue. This board is close to perfect, but not a 10. The following settings passed Intel Burn Test (IBT). This board is inconsistent, and struggles to handle RAM. This is not the same way that the A85X Extreme6 couldn't handle certain things. The A88X-PRO just can't set subtimings. Even the default DOCP overclocking XMP profiles will not run properly. This made me wonder if my RAM was at fault, I tried my 4gb Vengeance memory and so far have come to the conclusion that the board is at fault here. If you are new to overclocking RAM, steer clear of this board, as RAM tuning on this board is a massive pain. When this board fails on a setting, it fails hard and it takes a long time to reset the changes that you’ve made. The board needs a BIOS that plays better with old RAM. I would also appreciate a BIOS clear button instead of the jumper, since it is inconvenient. The MemOK! button also doesn’t always clear the BIOS enough to get the board to boot. The BIOS is also even more hard headed about downgrades than the Rampage IV Extreme so I couldn't test out if the pre-Kaveri BIOSes play better with the Athlon X4 750K. 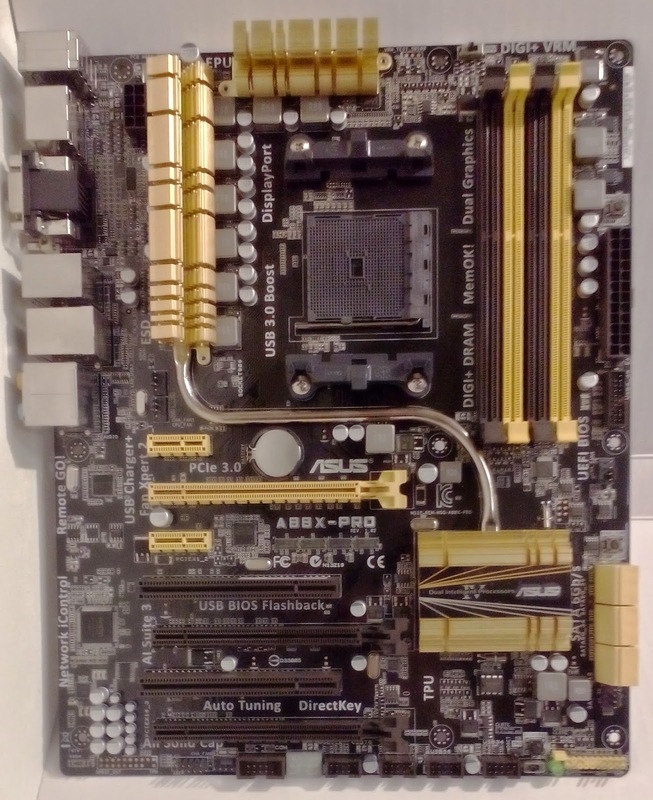 This motherboard is feature heavy and has the hardware to back it up. The BIOS is user friendly, but isn’t intelligent enough to handle RAM properly, and you will need to know how to time RAM manually. You will find yourself using the BIOS jumper way more than you should need to. Stuff won't work for no reason and there is no backup chip. However if you experienced or at least patient, the issues this board has will only be minor set backs and will have saved you a lot of money compared to the Crossblade Ranger. This board is completely overkill for a daily “Gaming PC”, and there are plenty of other good boards out there for cheaper. The BIOS is less than stellar if you want to use it for benching, but this board is good if you want to do LN2 overclocking on a budget. So how what settings should i use to get my ram to run at 2400?